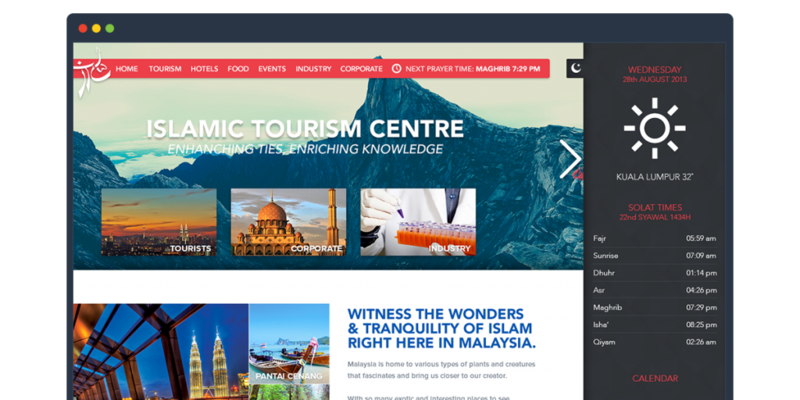 Islamic Tourism Centre is an agency under the Ministry of Tourism which required a new look for their website. Like any other government agency, their current website back then was all over the place and unattractive. So when they came and wanted a fresh new look, it was a chance for me to improve on the status quo of government websites. It is easily one of the largest web development job my team and I have gotten, and we were certainly pumped to impress the client. As far as the tasks were concern, I was assigned to design the UI and UX of the site as well create the basic front-end structure of the website. I wanted the website to be image focused, since we are going to be dealing with would be tourists to the country and we had lots of images to work with but not quite what I have had in mind but it did the job ok. 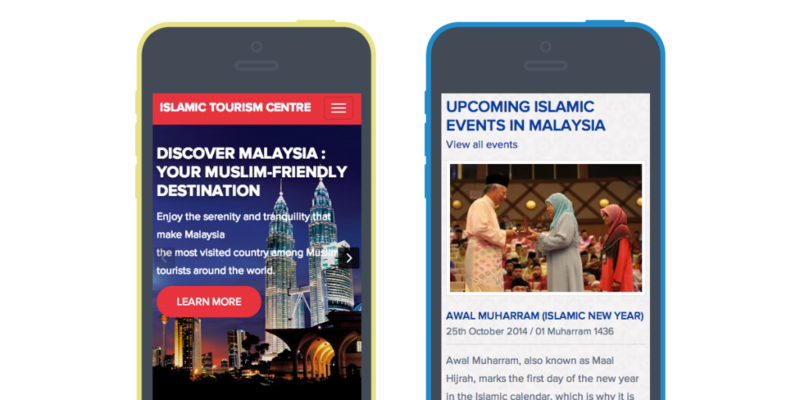 The whole website was developed on top of the WordPress CMS framework and had to be responsive to adapt to most of the devices out there. 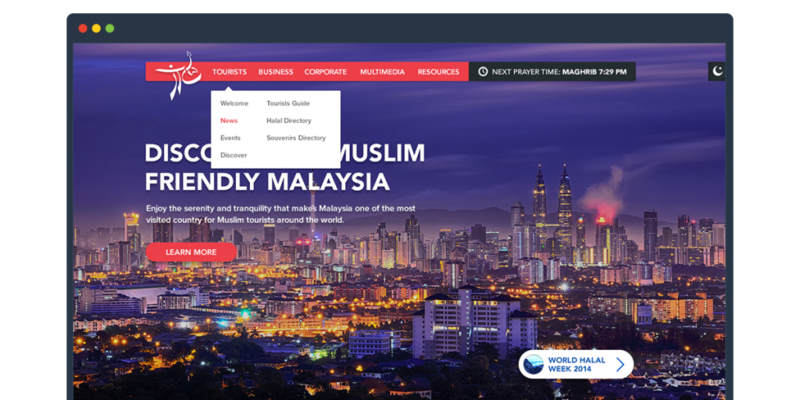 The homepage has a large featured image which leads the users to a welcome page and accompanied by articles, featured mosques and a muslim friendly directory for tourists who would like to know more about the services that are available within the country. Since the development needed to be done on our development server first, the migration process took longer than expected because of the large amount of data and images that needed to be transferred to the live server. But ultimately, the team and I managed to deliver the whole site within a month to the delight of the client.